Have you ever had a time when you really, really, really needed a friend, but there was none around? Someone to talk to, to hold on to? To help you through some dark hour? To help you through a maze of contradictory and hurtful things? That you are being torn up and turned every which way but loose? When you feel like you have lost a dear friend and everything is changing around you, but you don’t really know or understand why? There is a chill in the air? A time when you feel like if you go backwards, you should have gone ahead? That if you went right, you should have gone left? That if you went left you should have gone right? That if you went forward you should have gone in reverse? That no matter which way you turn, it is wrong. No matter what you do or do not do, it is wrong. No matter what, well, it won’t work out the way your great expectations thought it would? It is what it is, you say to yourself – can it ever be repaired? If trust and belief are broken can it ever be restored? The answer is no, it cannot, and therefore you say to yourself why even bother? They just don’t understand, they cannot understand, it is only their viewpoint they know and understand. Expectations. Great Expectations. Other’s expectations. Hurts where none were ever intended nor wanted, the last thing ever…”Where is the promise? You promised…” Expectations are seldom met, even when everyone expected them to be…things happen, they say. Why do we have such great expectations for others when we ourselves fail in them as well? So depressions sets in. Doubts. Trust? Maybe, maybe not. Expectations dashed. Who to blame? Let’s blame anyone and everyone. Strike out at anyone nearby especially one you love. “You did not meet my expectations. You are untrustworthy, a son of Satan himself…” And so it goes…” Ever been there? So I laid down on the couch, and drifted off to a place where I go when I have failed everyone around me because they had great expectations. Everyone. Oh, they say no, that is not true, but you know that it is. A Spirit thing. “All I ever wanted to do was to love you, but you would not…” Failed. Expectations. Others expectations. The victim becomes the perpetrator, the perpetrator becomes the victim. Hard to sort out, hard to understand these great expectations of a fallen humanity. I found myself walking up a hill in the snow. I saw lights on in a house I knew from my childhood days. The snow was soft, falling gently. I was going home. So I went inside but no one was there. I searched high and low for them. My mom, my dad, my brothers… I called out to them, but no one was home. No answers. No one would ever be home ever again. My heart fell. Great Expectations. I left walking in the snow that was falling heavier now. I felt utterly alone. My expectations dashed to the ground. Timelines…It all went by so fast, I did not realize how the time had gone by. “You said you would do it by such and so” the boss said. “It isn’t done, you have not met my expectations, such great expectations I had for you! Can I trust you or not?” The truthful answer, no. Never. Things got in the way. I meant to get it done, but I failed. “I am so disappointed in you…” GREAT were the EXPECTATIONS. “I am not yours to save” replied the bird. “Oh Jerusalem, oh, Jerusalem, if only…” rang in my ears. So hard to turn away. Great expectations. Great timelines, greater expectations. The Love of Christ. No one seems to understand it, so they totally misinterpret it. I guess it is not their fault, how could they? They only have fallen expectations, no matter how great they may appear. “There is one who can help you, He is not far off, He is inside your heart. You have no idea how much He loves you, no idea at all, and He has GREAT EXPECTATIONS FOR YOU…” I grabbed her hand and squeezed it. Do you have great expectations? Have you put pressure on someone to perform? Are you a boss? Are you the big, really big, big boss of all bosses? Are you supportive or a big nag? “YOU SAID…” Yes I did. So what? Did you ever say and not do exactly when and how? The phone rings. “I am so sorry I cannot come over today. I know I promised, but something has come up…” Great were the expectations. Then who are you to turn anyone every which way but loose with your great expectations? My sarcastic answer to this one: I don’t know anything about you, nor have I read any of your material (posted for free), but you are a jerk, an idiot, and worst of the worst, and most certainly not a true, bonified Christian. Say what? You know nothing about me but know I am wrong. I detect in both of these totally FREEBE MINISTRIES a great pride and arrogance at their fantastic achievements. I also detect that they are being paid for their services. More on that later. I also detect NO WALK, NO DEATH, NO CROSS, NO REBIRTH IN TRUTH. As they say, it is all in the numbers. Paul was a tent maker. I produce documentaries, reports, books and movies. Some Christian, some not. I suppose if Paul had put a FISH SYMBOL on his tents he would not be able to sell it because, after all, he would be preaching the Gospel with that symbol. If I mention a Bible verse, I should just give it all away because I am then a teacher or the Word. I suppose then, that if I write a novel, like “Danny Doogle and The Lords of Mars”, and because one of the main characters in that book is a Christian, I cannot sell that novel either. Then again, If I produce a documentary, and mention that Atlantis appears to be the same as Babylon the Great, I cannot sell that one either, because I have mentioned God’s Word. I detect a perverse, satanic reasoning here. This is a broadside frontal attack upon the real truths as laid out in the Bible. If others have this right of support from you, shouldn’t we have it all the more? But we did not use this right. On the contrary, we put up with anything rather than hinder the gospel of Christ. I guess Paul was a liar and did not know what he was talking about – but here he claims God Himself commands those who preach the gospel have every right to receive their living from it. It appears to be God’s will that this be so, therefore if you use materials that preach or teach the word of God, you have an OBLIGATION to support the ones offering it, ALL THE MORE SO IF IT IS THE REAL TRUTH, and not some watered down version to attract people. To not support such a one is, according to the Word, wrong. It a command from the Lord that they be supported. End of story. Over and out. I personally have chosen an alternative route of producing documentaries, books, blogs, that often INCLUDE the Word of God. That is my tent making. I make most of my living with WORLD INTELLIGENCE GATHERING AND COMMENTARIES CONCERNING IT, with magazines like “The Prophetic Insider” (On the website FOR FREE) and “Futuresacpe” AND “Earth Whispers”, but I do include the prophetic pictures modern news conveys. But I do have the RIGHT to ask for something for that as my Best’s Global Reports are unique and valuable. To say I have no right to charge even for that, is to deny common sense and the commands of the Lord. But I have not used any of these rights. And I am not writing this in the hope that you will do such things for me, for I would rather die than allow anyone to deprive me of this boast. 1 Corinthians 9:18 What then is my reward? Just this: that in preaching the gospel I may offer it free of charge, and so not make full use of my rights as a preacher of the gospel. I would also like to point out that PAUL was in effect OUTSIDE THE CAMP. He knew the dangers of monetary greed and simply refused it. Obviously people liked his tents, because he evidently made a sustenance living at it. As I said, I produce documentaries, reports, books, audio intelligence reports and other things. I am not a pastor. I am not a preacher boy. I am not an evangelist. I am not an elder. I am not within any Church anywhere. I AM OUTSIDE THE CAMP. I will never join any worldly apostate Church, nor will I ever enter one again. I have been kicked out of Churches as an “anathema” because I preach what Jesus Christ preached and few want to hear it. I preach a STRAIT GATE, A NARROW WAY, A PICKING UP OF YOUR CROSS, OF DEATH, OF DYING, OF SITTING IN HELL WAITING FOR THE LORD TO COME AND SAY “FRIEND, COME UP HIGHER”. I AM TOTALLY OUTSIDE THE CAMP, CALLED ONLY TO WARN THOSE INSIDE THE CAMP THEY BETTER GET OUTSIDE THE CAMP POST HASTE OR HELL AWAITS. That is all. I have never asked ANYONE to believe anything I have ever said or ever will say. I have only asked for people to STUDY THE BIBLE FOR THEMSELVES, and let the fake preachers, teachers, evangelists and “prophetic scholars” with their fake salvation gospel be damned, just as Peter said. I was called, and if your folks out there don’t like it, take it up with the Lord, who called me OUT OF THIS WORLD, SLAYED ME, KILLED ME AND RESURRECTED ME. I am the worst of sinners, unfit for service. I could not enter any temple of the Lord’s because I know I am unfit. Nevertheless, He called me to bring attention to the APOSTATES that are sure that they are going to heaven when they are not. I know I am unfit for heaven, unworthy. That’s it, isn’t it? I suspect this “Rich” thinks he is totally worthy, as the multitudes thought when Jesus Christ rejected them. I can see the pride oozing out of Rich. Pride goeth before the fall, and if not, great is that fall. We do not need money to minister, only the favor and the annointing of the Holy Spirit. The LORD provides for His work, not for the work and ministry of men. So at the outset, I am being called a fake, a fraud. When I asked this man what TRUE salvation is, what TRUE repentance is, I got no answer. I got a bunch of gibberish but no answer. The reason is simple, HE DOES NOT KNOW THE ANSWER. Someone went to his website and sent me what it says, he is an “instant salvation” fake. No different from Billy G or Benny H or the rest of these false preachers. They accept gifts, and that means they are getting PAID, and they are NOT working for FREE. The minute you accept a gift, you have moved from FREE to being a hireling. Anyone who says different is a liar or in denial. The Lord says that His people love to have it so, they love to have lies told them. They love the concept of instant free, no charge, no cost salvation and they heap monies upon them. No one travels the world for free. This man is being paid, even if he claims otherwise. He is charging for his services because he takes the money. If not money, then the airline tickets, the room and board, the meals, the clothing, etc. That is being paid. i KNOW HOW IT WORKS, I HAVE BEEN THERE AND DONE THAT. NO MORE. So it is not free, it is Satanic twist of the tongue to claim it is. It is an attempt to hide the real truth, a slight of hand, a trick to present oneself as something they are not. PRIDE GOETH BEFORE THE FALL. When I use to go and “preach salvation”, people would get up and walk out. First one and then another. These folks would be overhead as they walked and say such things as “God would NEVER require us to do that, to pick up our cross…” If I started with a hundred, maybe five would remain at the end. If I just read the Words of Christ Himself, I became an “anathema” unto the preacher man who ran that Church. One time I took it before the Lord and asked Him if I was a liar and a fraud, and if so, literally kill me because I did not want to lie to His people. But if the gospel I was preaching was correct, then shut down that Church. The Church was shut down. I wish to thank everyone for their comments pro or con. I do detect, however, maybe because of my poor writing, that the point was missed by more than several people. The subject was a FREE LUNCH, AND HOW PEOPLE TODAY ARE DEMANDING IT. It is like some sort of government entitlement program. It was not about me or other research ministries per se, it was about an ATTITUDE that appears to be present in all of this. I think it needs to be discussed, and I really do appreciate the comments. Times are hard, very hard, and we have many giveaways, but because I am not a wealthy person, nor do I have any church group to back me, I either produce or go under. I try to produce materials that are a blessing and educational to people. I am not complaining. I am simply stating the hard, cold facts. Either the truth must be supported or the truth will die and not be heard. My comment still stands that if you will not go to your employer and tell them you will work for nothing, you have no right to demand that anyone else work for nothing either. It is the rankest of hypocrisy to do that. Yes, I will post your comment because it speaks volumes on Christian attitude today. What you are really saying here is that I should not be telling people to purchase a product that might actually be of value to them, as “UFO GATEWAY TO HELL” has been to many, many people, including the U.S. Government, because in your eyes it appears to a “sin” to suggest that someone PAY for something. Even some of the comments on that post said they have been helped by it. I think it is time for a discussion here, and as Joan Rivers would have said “CAN WE TALK?” I have seldom asked anyone for support unless a sister or brother was in trouble and then I would ask for them not for myself. I have attempted to put together many a documentary which is a TEACHING AID, (by the way Jesus aid we should edify one another), many a book or report, hundreds of audio tapes, CD’s, support the several web sites, etc. Do you think it does not cost money? Do you think I get all of this equipment to put all of this together for FREE? Do you think the power company gives me power for free? Or that I don’t have to eat? Or don’t have to pay the help? Do you think our time is worthless? Evidently. 1. If you want everything for free, and will not even send a dollar to those you are taking from, then I WANT YOU TO CALL UP YOUR BOSS AT WHERE YOU WORK, AND TELL HIM YOU HAVE DECIDED TO WORK FOR NOTHING FROM NOW ON. What? You say? I have BILLS TO PAY, A MORTGAGE, FOOD TO BUY, CLOTHING TO BUY, AUTO PAYMENTS, GAS TO BUY, UTILITY BILLS, INSURANCE, ARE YOU NUTS? THEN WHY ARE YOU ASKING ME TO DO WHAT YOU WON’T? Do you think the research ministries out there DON’T HAVE THE SAME THING? HOWEVER, IF YOU WILL NOT WORK FOR NOTHING, and you will not do that, then you have no right to ask anyone else to do it either. If you will not do that, is that not being a hypocrite? How can you, how dare you, ask someone to spend 14-18 hours every day trying to edify the Church 7 days a week, with no vacations whatsoever and then turn around and say they have no right to charge anything for a product designed to help them understand the deep things of Scripture! There is something here I do not understand. Please clarify all of this for me. I think something has gone wrong with the Christians. It is a sickness, a virus of some type. It is a form of arrogance and haughtiness that DEMANDS but will not GIVE. Especially to those TRUE SERVANTS. I really would like to have some comments concerning this, for it apparently something people don’t want to talk about. Is it because they feel guilty about supporting truth-tellers? Are they afraid of the Government? Do they have such an aversion to the REAL TRUTH that they simply cannot bring themselves to support it? If you have such an aversion, you might want to ask yourself why? If you do not realize that Christian research ministries cannot function unless they either get support via donations, or place a price on their materials, then you live in a vacuum of ignorance. If you think it is unchristian to ask for support or place a price of materials, then you defy Christ Himself. I do not know of any church anywhere that does not have a budget of some type to pay their bills, and they all rely upon donations to do it. And the vast majority of them are telling lies and deceptions to their flocks. But when it comes to research ministries like I and others have, it appears to be a sin to sell anything or ask for help. Why is that? Does anyone know? I really do need comments from you out there, because I cannot continue this much longer. All of our materials are IN FACT TIMELESS, as they are based upon the truth of Scripture, which is ALWAYS TIMELESS. “UFO – GATEWAY TO HELL” IS TIMELESS!! However, I am moving more into the secular world for the last of the last souls that live in the “byways and highways”. It is what it is, but that comment seems to sum up the attitude within the Church and a large part of the so-called “remnant”. I don’t have all the answers but neither does anyone else. Actually Jesus said you do have to BUY SOMETHING in order to know the truth, even though it was FREE it was going to cost you EVERYTHING YOU HAD. He was telling you the truth. Seems to me He said turn your back and do not serve Mammon, make up your mind. If you will not serve Mammon, that is a REAL BIG COST TO YOU. It seems lile a paradox, that it will cost you everything, but it is still free. There are over 470 people who this blog, very few ever say anything. NOW IS THE TIME. ITS NOW OR ITS NEVER. He also said a TRUE servant is worthy of HIS HIRE. Not the modern-day Christian however, for they will not support a TRUE servant at all. Click on the picture of UFO GATEWAY TO HELL COVER to play the trailer, and click on the second picture of the UFO on the ground if you want a real shock as to the reality of all of this. There are two in this update, and you need to see both of them. The ARRIVAL IS NOT FAR OFF. The world is full of wars and rumors of wars. It seems that any weapon developed by the evil imaginations of men will eventually be used in some horrific conflict. Perhaps the comments of our Lord should ring in our ears – “Who can make war with the beast?” The answer is simple, of course, no one here on Earth because the masses of the people allowed these black projects to continue in private hands without any oversight – giving private (NWO) boys and girls the necessary weapons to enforce their dictates upon the world. Hence laser weapons, particle beam weapons, electro-magnetic weapons, sound weapons, mind control operations all come to fruition at the time of the end – either bow the knee or die. Simple really, take the mark to show your allegiance to the system of Mammon or die. As the Lord said, you cannot serve both God and Mammon, so make up your mind which you will serve. However, there is a force that will arrive that will pose as our friends. They will have even greater weapons and will rule the world with a rod of Iron – including the boys and girls of the NWO. Remember the Bible tells us that the rich men of the earth set a trap for the world and they fall into their own trap. 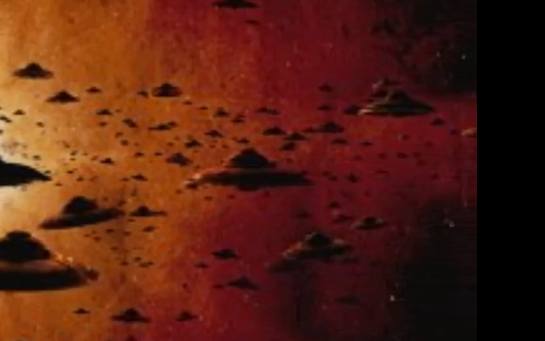 It seems that this trap for world control may deal with antigravity devices, known as the UFO. While many Christians and non-Christians mock the UFO and the concept of aliens, it is all too real as the world will be finding out in the near future. It is known as THE ARRIVAL. The Scripture has a lot to say about this ARRIVAL, as it appears to mimic the return of Jesus Christ. Many of you have heard of PROJECT BLUEBEAM, a deception of all deceptions, using advanced technology of 3D projections using the atmosphere as the screen. These holographic projections are complete with audio broadcast from the heavens or deep within the earth via unknown methods, but both projected onto the atmosphere to simulate the return of Messiah – a messiah that will fulfill the belief structures of all religions, depending upon which tribe, nation or tongue. He will be seen a Jesus to the Christians of course, but will then metamorphose into the world leader and world teacher, most likely known as the NEW AGE MESSIAH – Maitreya!! Many people are totally unaware of how powerful the New Age belief system is and how far it has penetrated the United Nations, but it has. IT WILL BE SAID AT THE TIME THAT MAITREYA IS JESUS CHRIST. Exactly how he arrives is open, but remember that Jesus is to return in THE CLOUDS. Interesting that the WWW web is now trying to get everyone in the “cloud”. If Jesus is to return in THE CLOUDS, then it is most likely the fake arrival will occur IN THE CLOUDS and the world will accept the project BlueBeam deception – all working together to bring forward the New Age Messiah – hence the continued propaganda spewing forth all over media concerning the UFO question – known as the “ancient aliens” who promised to return, and return they will. The vast majority of the human race will embrace these space “gods” as our creators. The Bible makes it very clear that the world bows down and worships SATAN HIMSELF, SATAN INCARNATE. Exactly what the tie will be between Obama and Maitreya. But there is a tie, and very distinct one. It is said that Obama was in Kenya when Maitreya appeared there. Keep watching. Pretty blunt talk here it seems. It is an either go big or go home type of thing. What is the key pivot point between those who are damned and those who are not? because they received not the love of the truth, that they might be saved. The word KNOW means experientally knowing, as in MEETING THEM IN PERSON – not just believing something or having faith in something. Nothing is more serious for THE ARRIVAL is not far off, and the ADVANCED GUARD is already here. The STRONG DELUSION is already working. And it is easy to prove that the vast majority of Christians are already under it – which is why they mock all of this. Their mocking is almost over!! I have placed “UFO – GATEWAY TO HELL” on special in an attempt to counter all of the misinformation out there. It is 7:20 hours long and many a Christian has told us that UFO GATEWAY cleared up all of their questions concerning the UFO enigma, and made it very clear what they and everyone is now soon to face – the greatest deception in the history of the entire world. You can order this by going to http://www.thelightgate.com and hit the Paypal order button – pay by CC, Paypal, or PAY LATER. You can order by mail at Best Video Productions, P.O. Box 309, Boyceville, WI 54725 by check money order or cash, but don’t recommend sending cash by the mail. Maybe you think you have the UFO situation all figured out. I can assure you, YOU DON’T. Greetings from your friendly and benevolent Big Brother. Our New Authorized NSA Bible is found at the link below. It is the only authorized version for the citizens of America. Do not be found with any unauthorized versions. Apply for your license to view this Bible at your local Fusion Center. Total Information Awareness is operating 24/7/365 for your protection. Thank you for being a good citizen. Ferguson is being taken over for a communist/progressive inspired “min-revolution” in the hopes that it will catch fire across America – something that communists always do when they target a country to topple. America is about to fall but it will not fall as most people envision – in point of fact it has already fallen, and the evidence to prove it are in Ferguson and the militarization of all local police and Sheriff departments across America. It is something I warned about almost 30 years ago when I released the documentary, “Iron Mountain, Blue Print For Tyranny”. We brought to the attention to the “un-wanting to know” American public the wishes of the LEAA and how they wanted the police to become the domestic “military” for one reason and one reason only: the subjugation of the American people. It is now here in full view. Enter Obama Ben “CHANGE” and “domestic army”. I don’t either, nor will I pray for America or her people. I pray only that those that have been obedient to the Lord to enter in at the strait gate and to walk the narrow way unto the revelation of true death before their creator, and who understand, or are just beginning to understand, what Jesus meant when He said you better hunger and thirst for the truth or it will simply pass you by. Ever been so hungry you would almost kill for food? Ever been so thirsty you would almost kill for a drink of water? Do you understand any of this, or are you going to mock it? The truth is not easy to find, but YOU HAVE THE ABILITY TO FIND IT IF YOU WANT TO. And you have God on your side as well. Priorities, priorities, priorities. It’s like real estate; location, location, location. The American people, led by these fakes, many of whom are Satanic angels of light, have destroyed this nation, and themselves along with it. How stupid is that? You weave your own rope to hang yourself with it. Wow!! Talk about stupid, talk about blindness. So now begins the final take-down of the greatest nation the world has even seen. No one has any excuse. No one. It was all there in the Bible. “I will pick their delusions”, saith the Lord, and boy has He. For the Christians, a fake salvation based upon “believe” or have “faith”. For the world, the coming apex of the strong delusion, the ARRIVAL and that the Bible is a book of mythology, old wives tales and cannot be trusted. For many reading this, they have “religious spirits” that keep them from understanding WHY Jesus told them to enter in. I can tell from the comments and emails that many people have no clue what all of this about. So down we all go. Ferguson is just a revelation of what is soon to come. The police state is here in full force, and the calls to stop it are far too few and far too late. God Himself said He would bring “strangers” into our nation, and that at His call, they would ignite a fire in our cities. That’s what the open borders are all about. That is what Ferguson is all about. He would bring us down. Meanwhile everyone is about their business. Business as usual. Get this done, get that done. Not that it is not necessary, but what is the actual priority in American lives? I can tell you what it is, and it has nothing to do with God the Father, Jesus Christ or the Holy Ghost. It has nothing to do with THE WORD, or the WORD OF PROPHECY. It has nothing to do with FINDING TRUTH. It has EVERYTHING TO DO with MAMMON and getting a better home or a better vehicle, or climbing up the ladder in some corporation. What happens when the rug is pulled out? I watch all of this from the other side. My perspective is radically different. I am on the moon watching the world of humanity destroy itself. Blind. Unable to extricate themselves as the trap is rapidly closing upon them. I weep sometimes, but catch myself. Jesus did not weep for the world. He wept for Jerusalem; His beloved city. He wept for His people. But never for the world, that which He classified as TOTALLY EVIL AND BEYOND REPAIR. If you can’t fix it, if it is beyond repair, you discard it. You throw it out. Hence a NEW WORLD IS COMING, A NEW HEAVEN IS COMING. Do you see? Satan has his little diabolical substitute for a new heaven and a new Earth. It is called the NEW WORLD ORDER. It is mankind’s last desperate attempt to throw Christ off His rightful throne and give it to Satan. It is a clear as day what is going on. It is so simple that few see it. America is in the center of this attempt to destroy every last concept of a Father, A Son and a Holy Ghost. Lucifer is rising. He has a nice smile. He lies all the time. He appears to be totally incompetent, but is not. He has a mission. DESTROY BABYLON. BRING HER DOWN. That is why America is called BABYLON THE GREAT the mighty Babylon; gateway to the gods. Hence America’s interest in the Tower of Babel and the largest embassy in the world built by the Euphrates river. The occult leaders of America are looking for something. It actually is a STAR GATE, also known as a dimensional gate. They fully intend to storm heaven, or bring heaven down to Earth. They are waiting for the arrival. The arrival of the gods will fix it all. They have all the answers. They are our space buddies. They want to play marbles with us. Only problem is they play marbles for keeps. We lose, they win, because they know it is totally futile attempt to fix something so broke it cannot be repaired. So if you cannot repair it, simply DESTROY IT. Do you get the drift here? It is the same thing with salvation. You cannot fix that which is so broke it cannot be repaired. That which is flesh is flesh, and it cannot be repaired. You cannot take something so rotten and make it fresh. You cannot repair who you are. You cannot fix it, it is beyond all hope. Try as you might to be good, to be loving, to be this or be that, it does no good, you are beyond broke and beyond repair. You are fallen. You are classified as evil and an enemy. Do you get it? If something is so broke it cannot be fixed, then why are you all attempting to fix it? You see, ALL RELIGIONS, including fake Christianity are an attempt to repair that which cannot be repaired. It is all whitewash, totally futile, totally worthless. Only when a human soul begins to realize who and what they are before their creator does recognition come of the real truth. BROKE BEYOND REPAIR. Nothing to do but discard it. Jesus said “These things I say unto you are Spirit, the flesh profits nothing…” The flesh profits nothing whatever because it is broke. That means you are a broke life form. Some sort of vile bacterial infection. Ugly stuff, say what? These are hard sayings, who can abide by them? Only the few that open their ears and open their hearts. Fear of the Lord is the beginning of wisdom, and because there is no fear of the Lord in America these days, there is no wisdom. So why are you all rushing around trying to fix that which cannot be fixed? You have no justification, no value, no worth. Hard sayings, but true sayings. We are nothing. All of us are big nothings. The nations of the world are NOTHING. The entire Earth is a big NOTHING. DO YOU GET IT? The answer to all of this is so simple. If you cannot fix that which is totally broke, then quit trying. Quit trying to improve that which cannot be improved. RELAX. SLOW DOWN. SLOW DOWN. Shift gears. Recognize and accept your condition. It is what it is. NOT FIXABLE. OK then, if you cannot fix it, what can you do? Quit trying to fix it and go into FULL SEARCH MODE. SEARCH OUT SOMETHING. Jesus said to SEEK, ASK, KNOCK, STRIVE AND LABOR. In other words, you are to FIND SOMETHING. You are to quit trying to improve yourself, but rather, search out something. You cannot fix that which is so broke it cannot be fixed.This is not say that one should not be honest, just and such. Ever lose your wallet or purse? Car keys? Important papers? Remember how desperate you were to find that lost item? How you searched high and low and could not find it? Did you say to yourself, “I swear to much, I have a potty mouth, I gotta quit that” or “I smoke too much”, or whatever your thing is? The answer is simple, NO. It was no because you were totally concentrating upon the LOST ITEM. There was no attempt to fix anything. So it is with salvation. You are to FIND SOMETHING. Then and only then can you begin to discern why Jesus said we must STRIVE to enter in at the strait gate and walk a very strange narrow way unto death. We are not to fix anything, WE ARE to search for something. Big difference between fixing something than looking for something. It is not an attempt to improve ourselves. It has nothing to do with improving yourself. You are what you are. Relax in it. Quiet the spirit. This is not at all about your mind, your flesh, your carnal understanding. It is, rather a search for truth, and that is all it is. It is about you coming to a recognition of something. You are in truth DEAD before your creator. I mean you are really, truly DEAD. There was this guy who was born into the human race that claimed He had the answers to all of this. His answers and statements and actions and miracles startled all those people back then. They marveled at his so-called “satanic abilities” to make things happen, including bringing dead people back to life, and not as Zombies, but rather fully functioning human beings!! Wow!! What a trip that must have been!! “No such thing”, they all said. “Impossible”, they claimed. “Must be a trick of some sort, all done by the power of Satan or one or two of his cohorts”!! Well now, can you imagine how the kings and rulers of this world must have been thinking (and still do, by the way), if this guy can raise the dead, and perform all of these anomalies of nature, why he might turn upon us, and then what would we do? Well of course, take this living person and make him dead. That’s the answer!! Kill him and he won’t be anymore. “Good riddance to bad rubbish”. That’s the ticket, make it legal, make it look justified, set him up, kill him and then it will be all over. So they did. It worked too, for a few days. But then something happened. This dead guy, who claimed to know all sorts of very weird things comes back to life. So was this some trick, some sleight of hand operation? Maybe a DARPA advanced technology sort of thing? Maybe they never REALLY killed him, almost all say today. It was just a trick, and there really was not any such person anyhow in history, it was all just made up. No such person ever was – and so it goes. But the testimony is there. It was recorded even by historians. But what does it all mean? Well, the death, burial and resurrection of Jesus Christ was a parable in motion. It was designed to show stupid humans something about their condition and that they could NOT do anything about it. As Bill Clinton would say, it all depends on what the definition of IS, is. You see? Maybe we should say, it depends upon the definition of what DEAD is? If there were any repairs to be made, they had to be made by the Creator Himself. So the Creator pondered this for a split second or so, how to do it? How to explain, or sum up this radical concept? Well, that’s easy. Bring a WAY that shows the stupid human what the real truth of what his condition really is. SHOW HIM in a very experiential manner via a way he knows not. In other words, we will make a ‘WAY” that will reveal to him/her that slowly reveals who they really are in their innermost parts. You know, take that which they think is all white and show them how black it really is, show them the destitution of the human heart. Give them A WAY, that if they will “enter into it”, and drop all the foolishness and vanity of this life, and actually, and truthfully ENTER INTO THIS “WAY” that we can bring them down, destroy the arrogant and haughty heart, bring them down to nothing, bring them down to reveal they are DEAD, DEAD, DEAD before Me. That’s the ticket!! Show them via this “way”. If they won’t enter in, they will never find the real truth, and die lost. We know only a few will enter in, but if they won’t they are not fit for the next run of things, the next heaven, the next Earth. Only the fit survive. Now of course the Creator knew that a whole bunch of liars and fakes would emerge from all of this effort, forge a whole new religion, and create a monster from it all. But that’s OK, because the Creator is only looking for certain types of people, you know, those that have the courage to think for themselves, inquire within, and do due diligence to search out the real truths. The rest? TOO BAD, SO SAD. So you see, if you do not KNOW experientially you are dead before your Creator, and then are shown WHY you are dead before Him, how can you truly ask to be made alive? To be REBORN IN THE SPIRIT? You see, your flesh has nothing to do with any of this, it cannot be repaired. All of this is SPIRIT TO SPIRIT, DEEP UNTO DEEP. It is not of this world. It is BEYOND THIS WORLD, WAY BEYOND IT. One cannot repent unless one knows what they need to repent of. And you cannot know what you must repent of unless you are shown WHY YOU ARE DEAD, and then and only then can you REPENT A GODLY REPENTANCE NOT TO BE REPENTED OF. True Biblical repentance has nothing to do with any earthly good or bad things you may have done. In fact, true Biblical repentance is such a radical concept that only a few ever discover what it is or why it has to be so. The Bible repeatedly tells us all of this is HIDDEN, A MYSTERY, and A SECRET ONLY REVEALED TO THOSE WHO “ENTER IN”. OK, SO WHY WON’T YOU ENTER IN? WHY DO YOU MOCK IT? Just asking, that’s all. You don’t need to answer, you need to ask yourself that question and find the right answer within. You need to do it now, for tine is running out. I went to the train station last night and stayed awhile until today, a desperado waiting for the train. It was foggy but I could see down the tracks for quite a distance as the lights from the station lit up the tracks with a shine. There was no wind so I thought I would hear the train rumble and whistle as it went through some crossings on the way to the station. I checked my watch as the morning watch was approaching. The first watch was eventless. The second watch was the same. The third watch likewise. The ticket master did not have to work very hard because only a few had gathered to catch the train. We waited to see if we could hear the dull roar and whistle, alerting us to the approach and the gathering together of those watching. Nothing happened. Our hearts began to sink. We so wanted to go home and leave the god forsaken town of desperadoes who did not even know there was a train, let alone getting a ticket to ride. As daybreak came down there was the shuffling of feet and one by one those waiting left the station, heads down, to hide the tears – saddened that the train must have been delayed once again…one cannot know or understand the yearning to go home after one has had a taste of it, a down payment as it were, an earnest money deposit in their souls and spirits. Oh, to go home, to leave it all behind, to just “check out” of a world gone berserk, with evil rampant, wars and rumors of wars, people everywhere mean-spirited, ugly, tight-fisted, even the so-called remnant. The Earth screaming, the stones crying out with that awful metallic screeching sound, rifts, volcanic and earthquake activity growing, all of it. The truth being trampled underfoot, non-supported, you cannot give it away, no one wants it. No, instead they heap their money upon the fakes, the liars, the popular ones. “I just cannot give anything today, my superfast computer and potato chips cost so much now. Can’t afford to help, but thanks so much for all the free stuff, keep it coming…” And soon the real truth will not be found, though people will go from East to West, from North to South in search for it, but the Lord says He will take it away, it will not be found, ANYWHERE. Why? Because no one wanted it, so the Lord simply removed it. Soon the mists of evil will be so strong no one will be able to see any way out of it. Like a spider’s web being woven right under the noses and eyes. Slowly, ever so slowly the black widow spins her deadly web. Like the proverbial frog in the pot, the victims sit, unknowing, uncaring…you might recall that Mrs. Obama wore a black widow dress some time ago, at Obama’s speech in Chicago, telling all of you what this was about as the communist flags flew. No one paid any attention. The noose around the neck of the Americans was being woven. It was being tied to a doorpost. The death angel is coming. He is looking to see who to spare, and who to take out. In my posts I pointed out that perhaps April 11th, 2014 was a signal, an omen of some type, an arrow pointing to the future perhaps, and how Passover is on April 11th, 2017, a year everyone ought to be watching. It was pointed out that the numbers all seemed to match up, from FOUR MONTHS TO THE HARVEST, to 1260 days to 1140 days, a 4-11 in reverse. 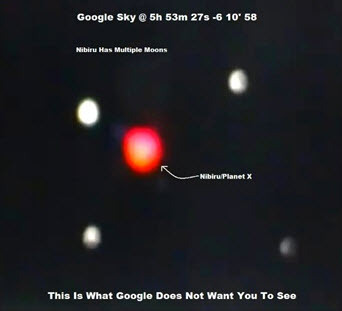 I pointed out, as others did as well, that April 11th appears to been marked out for some reason in the heavens by two very bright and beautiful comets and it was not a coincidence that they formed a perfect cross in the heavens directly over the head of Satan. We asked what does it all mean? I concluded it must have meant something, and the remark of Christ that in four months cometh the harvest meant something as well, but what? But something did happen, and the shock wave went around the world. It was sort of like a Susan Boyle or Terri Schiavo situation. A SIGN, a horrible and terrifying sign, an OMEN. As I looked out my window here now, I see something in the blue sky. It is a cloud. It is shaped exactly as a DOVE. I see it and I weep. She is gliding along so beautifully, soaring high in the sky, gliding so effortless. And then she vanishes, a wisp in the wind. Peace to some, terror to others. I get it now. I see it now. It took awhile because I really am slow on the uptake, slow to do anything actually. But now I get it, and I hope you do as well. Robin Williams was a comic. He was one of the best actually. He made people laugh with his voice, facial expressions, and body movements. He played many a part in movies, like Mrs. Doubtfire, a very sad comedy of American life. He was an expert at making people feel better, to make them laugh and feel good. He died on Tu’B’Av to be exact. He took his own life. He came to the end of his road. The shockwave went around the world. Major media paid a lot of attention to his passing away. So what’s the point? It is an OMEN. It happened on the SUPER MOON, the brightest, biggest and closest of the super moon TRIAD. The SECOND moon of this TRIAD. The Father, the Son, the Holy Ghost. The Servant Candle SUPER MOON. The arrow pointing? Change you laughter into tears, change your smiles into cries of desperation, for the world is now entering into the darkest hours of all human history. You see, a comic was cut short. Do you see? No more laughter coming. No more jokes coming. No more jovial times coming. It will be CUT OFF. America has hung itself, for she would not repent, and just as Robin Williams she must die soon. Do you see? There have been THREE SHOCKWAVES of personages in recent times. Susan Boyle sang the swan song of the entire human race, “I had a dream”. This was the first shockwave that went around the entire world, as no one could believe that this frumpy plump woman could sing with such an angelic voice that brought millions to tears as they listened. She was anointed by the Lord as she sang that song to the entire world on an April 11th. Terri Schiavo was murdered in cold blood by the United States Government with the approval of the American people. “I will repay”, saith the Lord. She, likewise, was known by the entire world as they looked upon America to see what would happen. She was helpless, as helpless as the babies in the womb slaughtered by uncaring and heartless doctors, posing as healers when they are flat-out cold-blooded murderers. She was murdered with no mercy, under the LAW. It sent a SHOCKWAVE OVER THE WORLD. What has happened to the American people? The blood of the innocents flows upon the home of the “free” and the land of the “brave”. Terri was the second in a TRIAD OF SHOCKWAVES. DEATH. The last time I checked, it is Jesus Christ Himself that opens the SEAL JUDGMENTS. They bring DEATH and CORRECTION. And then the THIRD SHOCKWAVE of this TRIAD; Robin Williams. Known the world over, his death was a shock to everyone, as expressed on major media as even now more and more people are voicing their shock at his passing. I wept when I first heard the news, could not believe it. But the weeping came from the deep things of the Spirit. It meant something. I was unsure what. Now I know. THE DOVE IN THE SKY, PEACE FOR SOME, TERROR FOR OTHERS. It was the last warning to America, to Israel, to the world. We are here. We either have or are about to enter into the darkness of antichrist and the rise of LUCIFER. Oh, I know I will be mocked. I am use to it now, as I am to not being supported except by a very, very few. There is no free lunch, but everyone wants everything for free. It is not that these dear folks do not know there is no free lunch, but rather they just don’t have any real love for the hard sayings of Lord and do not want to hear it at all. Why, I will never understand. It would seem to me that if one claims to be looking for the truth that they would understand that the REAL truth pricks, stings, gives one unpleasant feelings, and makes one WANT to turn away. My advice is, that when these emotions come to the fore, you are dealing with REAL TRUTH, because it OFFENDS AND HURTS, AND MAKES ONE ANGRY. Who wants to support anyone who does that to us? If one says they stand upon the Word of God, then why don’t they read it? Something strange happened the other day. I put my DVD documentary “Red Elk, Through The Fire” on sale for $16.95. His prophecies are all coming true, but of course, he is a native American, so what could he know? NOT ONE TAKER. NOT ONE. NONE, ZERO. No one cares anymore. They say they do, but it is obvious they don’t. The indifference is astounding. Indifference leads to death. It could have all been avoided. Hell can be avoided, but the vast majority of Christians are going there. The Bible says so in no uncertain terms. DO YOU GET IT? GET READY, FOR THINGS ARE NOW GOING TO CHANGE. GLITCHES, 9TH OF AV, GLOBAL INTEL UPDATE, NEW PROPHETIC INSIDER, WARS AND…. It seems that people all over are reporting more and more glitches in their electronics – Ipods, Ipads, cell phones, computers, email, etc.etc. etc. The question is why? The bots claimed that there were developing magnetic anomalies all over the world as the magnetic poles begin their shift. We do have a magnetic anomaly developing over North America and have reported on it. We have the Atlantic Anomaly as well, and other areas of the world that are showing magnetic instability. 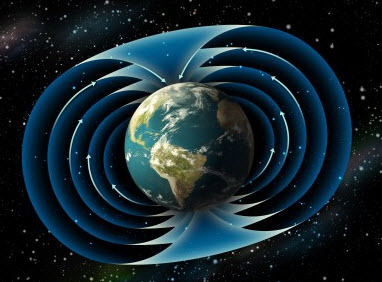 Then we have what they called magnetic vortexes, sort of like a tornado, but it is a magnetic tornado, and they will wander around causing all sorts of electrical problems from, auto blackouts, cell phone interruptions and who knows what other effects they would have on your mobile equipment like GPS readers, etc. There are several possible causes for this increase in anomalous activity. The most important would be the approach of the Destroyer, for there is no question that the Destroyer is real, and is headed in our direction. The question is not if, but when. As this object, whatever it really is, gets closer we will have more and more troubles in the “gadgetry” area of things. Secondly, and maybe more important, is the Solar activity anomalies because the Destroyer also will have a major impact upon the sun as well. Thirdly, we reported that there has been activity spotted at the black hole in the center of the Milky Way galaxy. 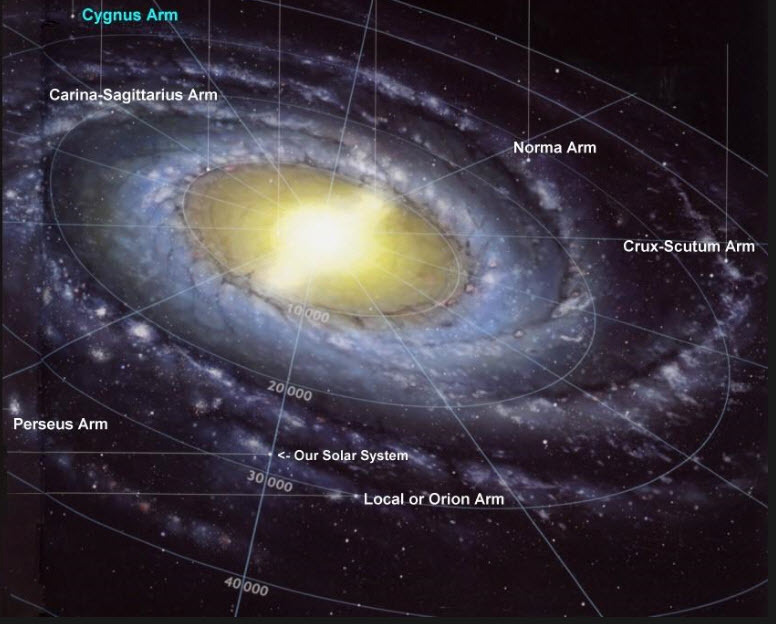 While that may seem to be a distant threat, apparently the ancients did not think so, and the Mayans in particular considered the center of the galaxy the giver and taker of all life on Earth. In the book, “Earth Under Fire”, Dr. LaViolette goes into great detail about the “Blue Star” of the Hopi legends, and that severe and massive changes in the center of our galaxy give off huge shock waves that radiate outwards. The problem for us here in Earth is that we would not be able to detect this shockwave until it reached us, and by that time of course, it is way too late. The claim is that a BLUE STAR will appear in the heavens and when it does, it is all over. Our “Mega Earth Changes Two” documentary went into this at length. The Lord told us that we were coming up on a time of terrible catastrophe, worse than anything that has ever happened before on Earth. We now know why. Scientists who have studied the “Destroyer” claim that when the destroyer comes through this time, the Earth is on the same side as the destroyer as it makes its first pass around the Sun, making it far worse for us. The latest on Israel is not good, no matter how many cease fires there are, Hamas violates each one, and of course Israel is blamed for it. The rising anger against Israel is a fulfillment of prophecy, as all the nations gather against her. Sooner or later this area of the world will explode and when it does, everything changes. How much prophecy has to be fulfilled before people of the world begin to wake up as to what is going on around them? Obama has made it very clear how he feels about Israel and his treatment of Israeli statesmen is inexcusable. The American people, however, will be the ones who have to pay the price for this treatment and ultimate betrayal of Israel. It is also apparent that most Christians do not understand who Israel is or what lays just ahead. LOVE FEASTS AND RAPTURE READY? Tu B’Av is rapidly approaching and I suppose those that are watching all of this are wondering if ANYTHING is going to happen. The odds are NOTHING, but then one never knows – the SIGNS are all there, the day counts are there, but we have been there before. It may well be we are looking at an ARROW that is pointing us to 2017 PASSOVER AS THE CONCLUSION OF THIS AGE AND THE BEGINNING OF THE NEXT. According to some scientists, we actually entered the age of Aquarius on December 21, 2012, the Mayan BEGINNING of the next age. However, having said that, if there really is a vast difference between the Bride of Christ and the rest of the Church, and IF the star sign of Revelation 12:1 is the sign we are seeing on September 23rd is the correct STAR SIGN – and IF we are to come back 1260 days to April 11th 2014, then the odds are something may well take place, but we do not know what!! So what if the above concepts ARE TRUE, and NOTHING HAPPENS – what then? We have several options to consider – the first being that the FIRST HALF of Daniel’s 70th week was fulfilled by the Lord Himself and thus there is only the GREAT TRIBULATION LEFT FOR THE WORLD TO FACE. The second option is that the rapture of the Bride will take place at a later date – like Tu B’Av 2015, or 2016, in accordance with the Joseph Factor, the 2-5 year break – a GREAT DELIVERANCE after two years of limited harvest. Or maybe no rapture as so many mock it these days – only a die-off of the “bad Christian seed”, you know those trouble makers who tried to point out their brothers and sisters were not actually following what the Lord had to say about things, those actually born again and those who had entered in at the strait gate. Time always tells, does it not? On our last post, we gave you a link to view the new format of our Global Intel Update. We wanted everyone to see it and hope many of you will OPT IN as the times are quickening the world over. OPT IN by emailing Patti or myself at enigma@truinsight.com. 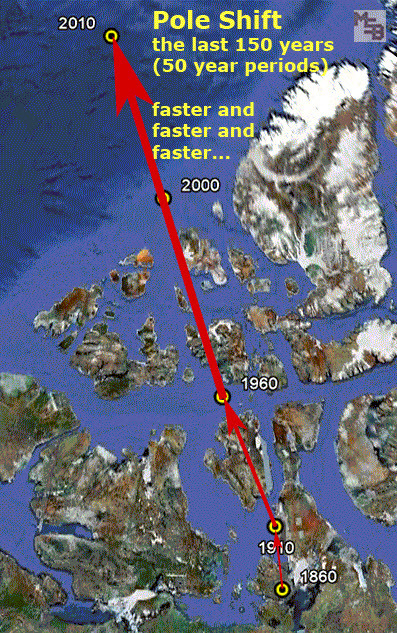 Events can happen in an hour that change everything on planet Earth. Then we have NEWS OVERLOAD, so much news that we all get sick of it, and want to bury our heads under a pillow to escape all of it. This is the very reason I began the BEST GLOBAL REPORT so many years ago now – to distill the news down, the IMPORTANT NEWS, the news that MEANS SOMETHING to you personally and “executive summary” if you will. The GLOBAL REPORT does exactly that – a Reader’s Digest distillation of the important but usually BURIED NEWS by all mainstream media, but we dig it out if it really means something. 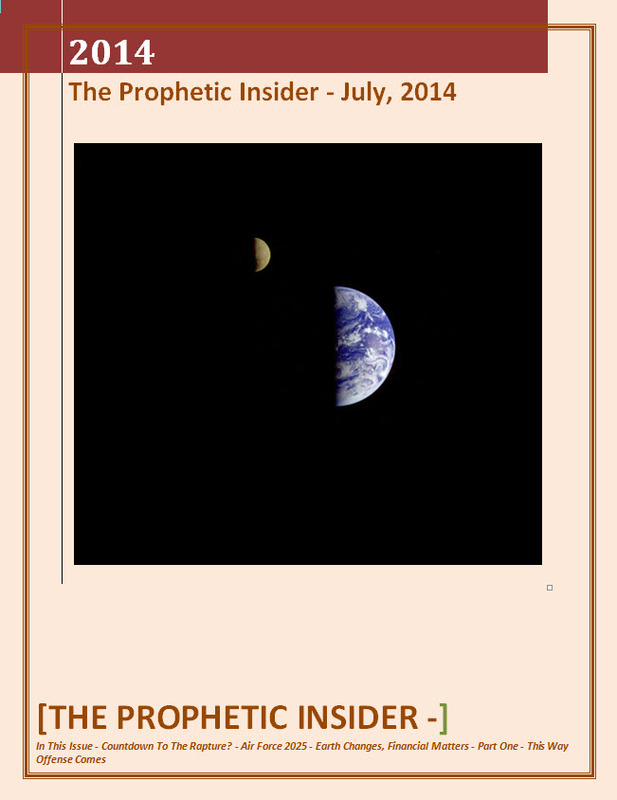 We have a BRAND NEW PROPHETIC INSIDER and it is free to all. You can have it in two formats for free – a 3D Magazine or a straight PDF. 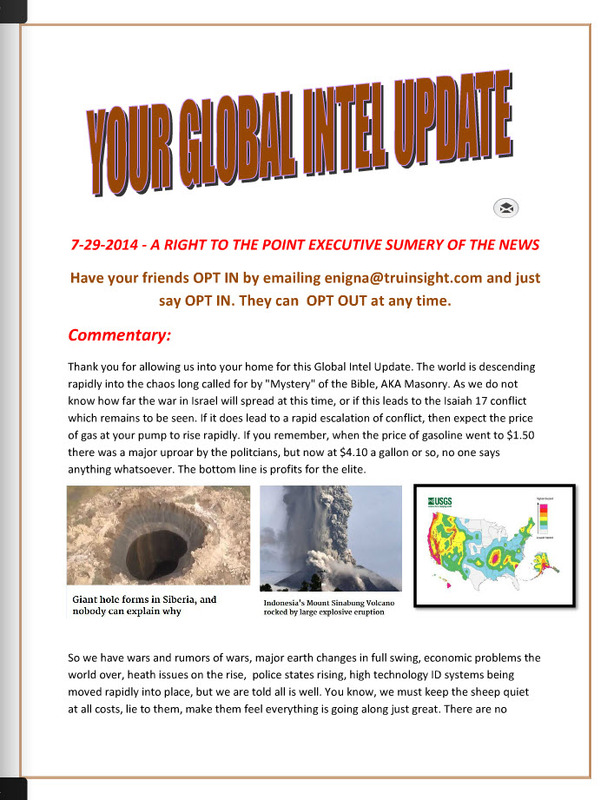 If you want the PDF format, email Patti or myself at enigma@truinsight.com and we will send you your PDF files. It costs money and time to put these up for FREE so if you are blessed by any of this, please remember us with a donation from time to time. If you want a full color 40 page HARD COPY, then call 1-800-257-2672 or 1-715-632-2316 and order your copy at $17.95 USPS USA RESIDENTS ONLY. If you live outside the USA, you need to call for postage rates. We have now entered the time when WARS AND RUMORS OF WARS have entered into a NEW PHASE. Remember Albert Pike and his THREE WORLD WARS, and the first two were fought has he outlined, leading us to believe the THIRD WORLD WAR, which is a war between ISRAEL and the Moslem world, that spreads the world over, topples Christianity, Islam and Judaism, and brings in a whole new concept which is supposed to worship the creation and the Mother Earth. We may well be watching the front waters of Isaiah 17 and the so-called Armageddon Script, in which wars break out all at the same time, North Korea and South Korea, China and Taiwan, another Balkans conflict, and war in Israel. We are watching the Psalm Two wars going into full swing here. Prophecy must be and will be fulfilled. Hang on to your hats, hunker down and ride out the coming storm if the Lord tarries a bit longer. You gotta see this!!! The reviews are exciting for us!!! We have acquired new software that allows us to create digital books with active content. This allows us to embed audio, video and other files right into the document. While we are still learning all about this European software, we wanted to give you a link to the latest GLOBAL INTEL UPDATE. If you would like, OPT IN by emailing me or Patti at enigma@truinsight.com and I will place you on the list to receive these UPDATES as things are moving very rapidly now all over the world. You can opt out at any time! We will be extending this concept of multi-media in one package to many other areas of our work. The sample below is JUST THE BEGINNING OF WHAT THIS SOFTWARE WILL ACTUALLY DO!!! And YOU will be the beneficiary!!! Because world events are now moving at such a rapid pace, we do advise everyone to take advantage of these Global Intel Updates and Emergency bulletins. The magazine is bright, a delight to the eye and easy read. So if you don;t want to miss these INTEL UPDTAES – OPT IN by emailing Patti or myself at enigma@truinsight.com – or call Cindy at 1-800-257-2672 and we will make sure you are added to to the list!!! !